Elena and Sasha wows the judges and the audience with dangerous balancing act on America’s Got Talent Season 12 on Tuesday, June 13, 2017. “That is probably one of the dangerous thing on our show,” said Howie. “I do like it. She was so chill,” said Heidi. “I think the two of you are absolutely incredible,” said Mel B. “That is really difficult. The act is more recognizable,” said Simon Cowell. Elena and Sasha gets four yeses from the judges and they are moving to the next round. 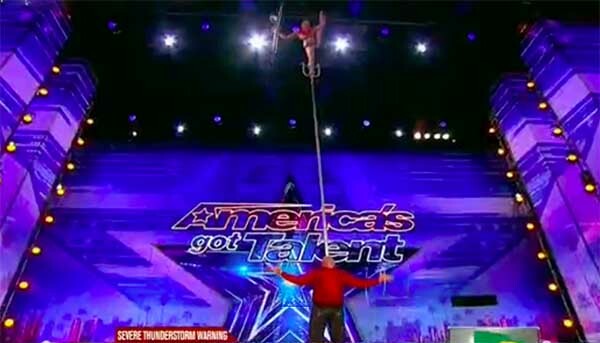 What can you say about Elena and Sasha’s performance on AGT Season 12? Share your thoughts and views on the discussion box below.